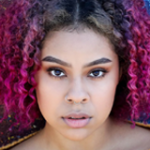 Levi Smith in SEUSSICAL in Texas, Leanne Parks on “Fancounters” Podcast, Caleb Reese Smith on Spokane Public Radio, and more! 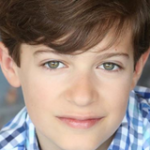 Alum Levi Smith (School of Rock) is appearing in Seussical at the Owen Theatre in Conroe, Texas, December 7th-23rd! Get tickets at OwenTheatre.com! 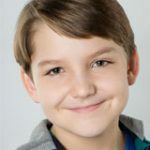 Caleb Reese Paul (Finding Neverland) spoke with Spokane Public Radio! Listen to the interview at SpokanePublicRadio.org! Leanne Parks (School of Rock) and her dad were guests on the podcast “Fancounters”! Listen to the interview below or HERE! Phoebe Koyabe (Dear Evan Hansen) spoke with AZ Central! Check out the interview HERE! Get a look inside Waitress‘s Lulu auditions in Richmond on NBC12.com! And check out these pictures and videos from the kids of How the Grinch Stole Christmas, Finding Neverland, Elf, School of Rock, Les Miserables, The Sound of Music, Anastasia, and Miss Saigon! 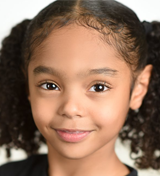 A CHRISTMAS STORY Begins Performances, Iara Nemirovsky in (mostly)musicals Tonight, SCHOOL OF ROCK Open Call Update, and more! Happy 1st performance of A Christmas Story! Happy Birthday to KOT’s graphic designer, Lizzie! We reported earlier that the upcoming School of Rock auditions were Equity auditions, but it is actually an open call! Get details at Backstage.com! 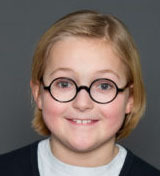 Alum Alexa Lasanta (The Sound of Music) has been cast in Annie at Wick Theatre in Boca Raton, Florida! She is joined by Peyton Ella (The Sound of Music Live!). Get tickets HERE! Leanne Parks (School of Rock) was interviewed by Broadway World! Check out the feature at BroadwayWorld.com! 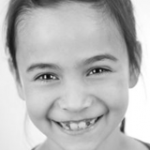 Alum Iara Nemirovsky (School of Rock) is in (mostly)musicals tonight in Los Angeles! Check out a promo video below! And check out these pictures and videos from the kids of Noel, School of Rock, Anastasia, Elf, How the Grinch Stole Christmas, Finding Neverland, and A Bronx Tale! THE KING AND I Begins Performances, WAITRESS San Diego Lulus on KUSI News, and more! Happy 1st performance to The King and I! Watch Kensley and Sloane (Waitress San Diego) speak on KUSI News below! And check out these pictures and videos from the kids of Finding Neverland, School of Rock, The Sound of Music, Miss Saigon, How the Grinch Stole Christmas, On Your Feet, and Noel!